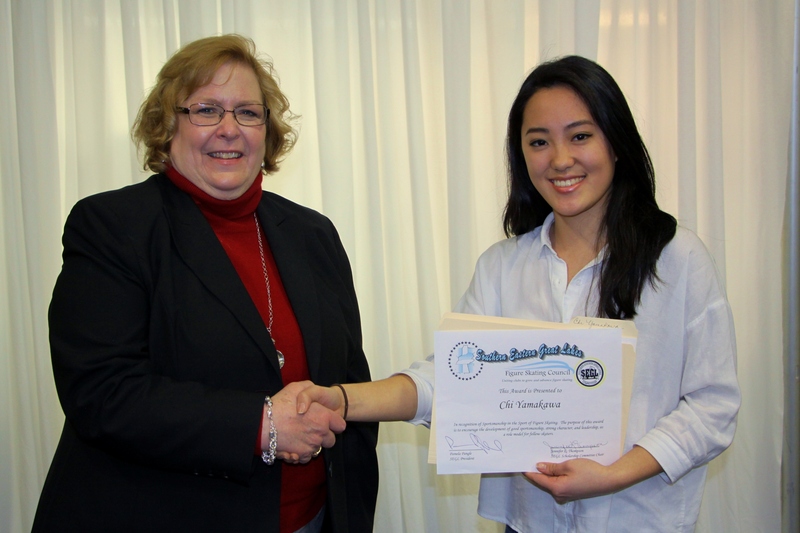 We would like to congratulate Chi Yamakawa for her winning the SEGL Sportmanship award this year. Chi have serviced CFSC board of directors as a Junior Rep for 2 years. She is a great role model for our younger skaters. It is the 3rd year in the row that our club member received this reward. Way to go, CFSC skaters! Please say congratulations to Chi when you see her at the rink. This entry was posted in Uncategorized on March 8, 2016 by Columbus Figure Skating Club.